Changing the face of Business communication and making global connectivity a reality. 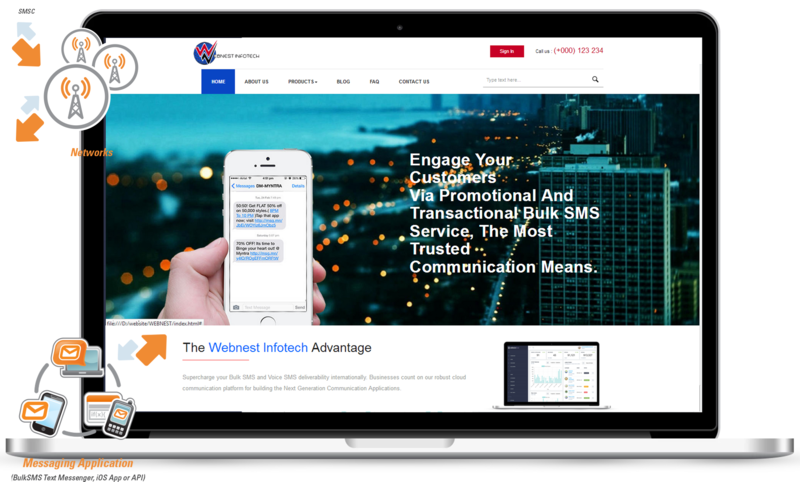 Webnest Infotech is a unit of Bulk SMS , Toll Free Number , IVRS, SEO, a technological solutions provider. Our mission is to progress with the ever-advancing technology and to provide realistic solutions by making use of the wireless technology. The wireless internet and the collaboration between office and mobile communication is advancing at such a pace that it so difficult to keep up with the advancements. We value our ethical values of relying on our positive attitude to carry on the work of the clients we take up, our delivering skills to complete the work assigned within time allocated, Our values are embedded in our struggle to achieve the goals and objectives set rigorously. "At Webnest Infotech we understand your business requirement and take care of the challenges faced by you to establish its brand. Our Mission is “to deliver cost effective services without affecting the quality of the service provided". Our primary focus is to Wow! Our customers - 24/7, 365 days with delightful solutions and constant service. Be a credible ambassador and accountable. Always deal in honesty and truthful. We challenge ourselves to any actions and explore the new with fullest potential. Inspiring our people, celebrating their success, helping them achieve their goals and assisting them in improving their lives. Implement dynamic features of Solutions webnest infotech in your business and discover how effortlessly some of the top brands innovate their mechanisms. Jay Durga Nagar, Bomikhal , Bhubaneswar :- 751010.